SMART MARKETING. BUILT TO WIN. Somewhere, at this moment, a traditional advertising agency is six months behind schedule on a client’s re-branding project. Creative is still waiting on research from Account Planning. Development is trying to fix bugs in the WordPress theme. And Finance will charge extra for scope creep. That’s why the old advertising agency model is taking its last dying gasp – and why we followed our dream of creating an anti-agency. We wanted something small and nimble that eliminates the dysfunctional hierarchy, unnecessary meetings, and fiscal bloat of the old guard. We founded Big Block Studios (BBS) in 2000 as a virtual consortium of content, advertorial, interactive, social media, photo/video, and marketing professionals. After growing disillusioned with their stale roles in the big-agency framework, each decided he or she didn’t want to stick around and be the last one to turn out the lights. 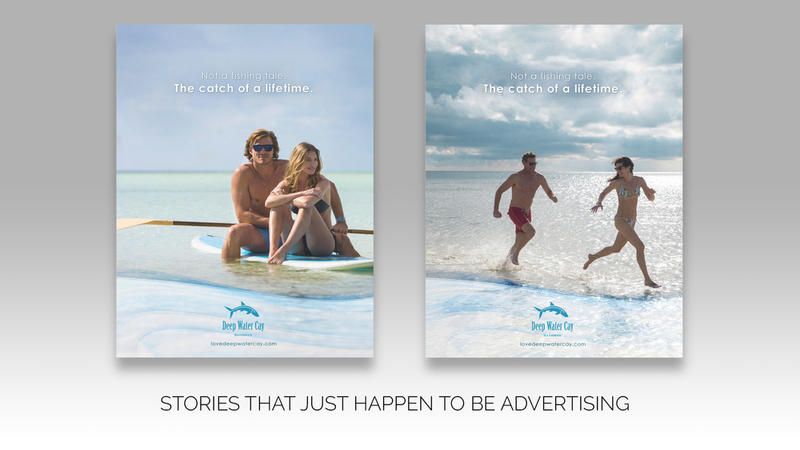 Now together we create elevated, compelling content through the use of storytelling and preeminent design services. We assign a unique, hand-picked group of creative professionals to each project. That team handles development, nurturing, and ongoing maintenance of all project elements. Simply stated – you get the right people doing the work specific to your industry. At the core of Big Block Studios is our method of demystifying the traditional advertising agency model. Our clients get the benefits of big agency thinking without big agency prices. With a scalable team of creative, social media, and visual professionals, we create compelling content through the use of storytelling and preeminent design services. Big Block’s fresh ideas and ingenuity help you stand out from the crowd. The artisans at Big Block come from diverse backgrounds including graphic design, fine art, branding, traditional and digital marketing, video and audio production, and journalism. With all that creative mojo in the air, there is no shortage of critical internal review. We scrutinize the work and push each other to develop the very best product. And when we disagree – we take the civilized approach and talk things out over tacos. The backbone of advertising has always been creative writing. Copywriting feeds every service within Big Block, and we tailor the message to serve specific needs ranging from entertainment and education to SEO and SEM. However, the writer's imagination and descriptive powers always drive the strategy. Because everything we deploy begins with the written word. At the end of the day – it’s all about storytelling. A brand is as individual as a snowflake. It has its own multifaceted collection of elements that compose the whole. This “DNA” makes up the core essence – which is the distillation of a consumer’s opinion of your company. We zero in on that and paint a picture showing the value of creating a relationship with the brand. Understanding that different audiences seek different solutions, we also create a sub-brand ecosystem when appropriate. Despite the rise of social media, there is still huge value in sharing your message through third-party channels such as paid advertising and sponsorships. Traditional outlets such as print, radio, television, display, direct mail, and paid search remain a viable source of leads. Big Block analyzes your target audience, current analytics, trends, and market demographics to blend together the ideal media mix. Your online presence typically includes a blog, Facebook, Twitter, YouTube, Instagram, and any other relevant social media channels. As part of our integrated approach, Big Block Studios nurtures and maintains those online channels to create the connective tissue between consumers and your product or service. We refine profile content and images, and revise logos and graphics to align with the new branding and achieve continuity. With quality and consistency, social media marketing is an effective way to build interest and a following over time. We want you to understand the cross-functional efforts that go into properly deploying an ongoing daily social strategy. In addition, we empower your own team members to participate in and embrace the process. This supports our efforts, and motivates your employees as they see the program gain momentum. Content marketing is the progressive development of materials to support your campaign messaging while providing interesting and relevant material for your online audience. This content serves as both a retention and recruitment tool. Through your content, we can tell great stories, answer common questions and concerns, and develop a progressive narrative campaign that leads your audience through the marketing funnel. Email is an essential tool for engaging and growing an audience. It is an effective way to keep customers informed. And with more than half of US cell phone owners accessing email on their phones, it’s an inexpensive route to reaching mobile users without a big technology investment. Big Block Studios creates a monthly email drop complete with campaign ties, links to social content, and specific calls to action. Big Block Studios executes a boots-on-the-ground approach for conferences, trade shows, and festivals. We start with preemptive messaging directed at people planning to attend the event. This “teaser” marketing generates interest and entices the audience to attend and start engaging online. Using a detailed, linear approach, Big Block ramps up interest and activity as we get closer to the event. Once the event is in motion, so are we. From the beginning of the day to the end, our teams are in motion creating content with participants using video, audio, interactive activities, and more. But we don’t wait until the party is over to show what happened. It’s incredibly important in a social media environment to consistently share content and engage the live audience at the event as well as people participating virtually. After establishing audience relationships during an event, organizers often abandon that fan base until the next year. At Big Block Studios, our experiences have shown that post-event audience nurturing is essential. Therefore, we go to great lengths to develop and collect content throughout the event, and then extend the conversation well into the future. Later, we embrace this audience and recruit them as ambassadors for the next event. Every business is unique, and communicating the company’s needs and direction to your team can be an operational hurdle. That’s why it is often efficient and effective to bring in outside training. You get everyone up to speed – and on the same page – in a neutral and positive environment. Big Block can conduct training seminars for your employees, or offer one of our many presentations on marketing concepts, social media, or business strategy. We developed a boutique photo studio inside our multi-discipline agency. Simply stated, we liked what we did in-house better than what we got from third-party photographers. Because we are close to your brand, we deliver the right message through photography. In the same way that great photography brings a brand to life (that whole “picture is worth a thousand words” thing), a compelling video production adds an additional multiplier to the message. So what do you want to accomplish? If it fits into any of our categories, we can help you. And if it doesn't fit into any of our categories – we can still help you. We have a vast network of creative professionals and co-conspirators to call on when necessary. Everything is outlined in a proposal with milestones and expectations to ensure that we establish a relationship built on clear goals, not amorphous hopes. After two decades in marketing and advertising, Justice is recognized internationally for his ability to concept on the fly while he creates heightened brand awareness and engagement for companies that span multiple industries. Clients and colleagues know he has a track record of delivering award-winning creative content, and consider him a respected voice as a professional blogger and social influencer. This socially minded, creative executive uses a Swiss Army knife in his branding because it is a visual representation of the diverse skills he brings to the party. Justice is experienced in leading and motivating teams, as well as conceptualizing and executing creative campaigns. In her role as the "Queen Bee" at Big Block Studios, she makes sure that after a decade of launching Home Depot stores and marketing program deployment for countless brands, she keeps the doors open. Also Pratt is the live events goddess, much like a Swiss Army Knife™ she holds many keys to getting jobs to successful completion and also acts as a valuable interpreter when speaking to our creative staff. She's our Lara Croft. Jim is a public relations practitioner with more than 20 years of expertise generating results for accounts in a variety of industries. While he may know his way around a newsroom and have strong traditional media background, Jim also possesses a strong knowledge of the latest social and digital media communication strategies that enable direct conversation with key audiences. There are others but their names have been changed to protect the innocent. Want to be a piston in the hardest working creative engine? Drop us a line. You already have enough complexity and red tape in your life. The last things you need are hassles, headaches, and hierarchy when dealing with an agency. As a nimble, streamlined consortium, Big Block Studios adapts to your needs without any unnecessary BS. And to sweeten the pot – our structure allows us to come up with innovative solutions that scale to fit your budget. If you need a white-label marketing solution, let’s talk about how you can brand our services for rapid deployment without months of development time. Thank you for seeking out Big Block Studios! Looking forward to getting your email and seeing how we can be of assistance.